where the driver has a clear view. 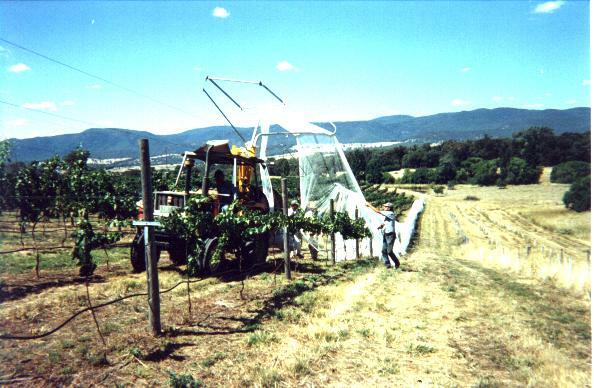 The nets are then picked up verticly from above the Vine line. 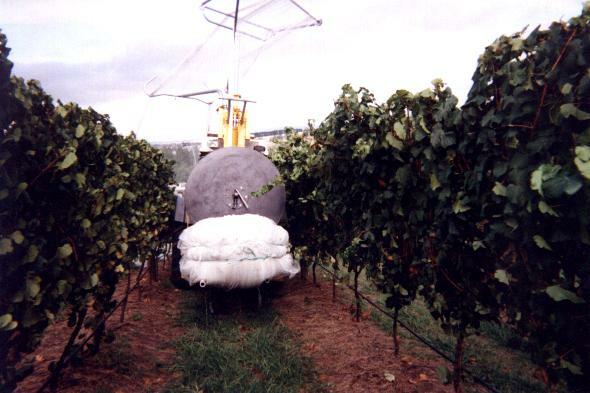 the roll can be slid straight over the spindle of the Net-Master. 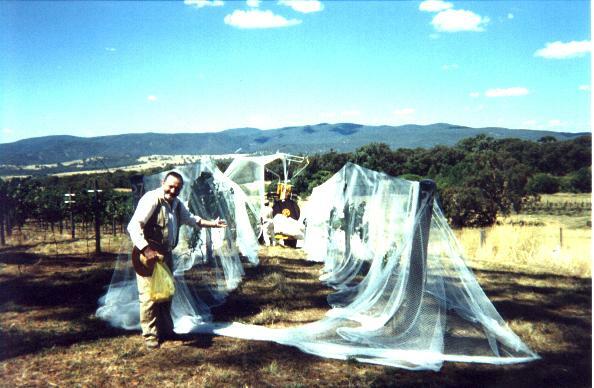 and they come in a bag, a pallet can be carried in the legs of the Net-Master. 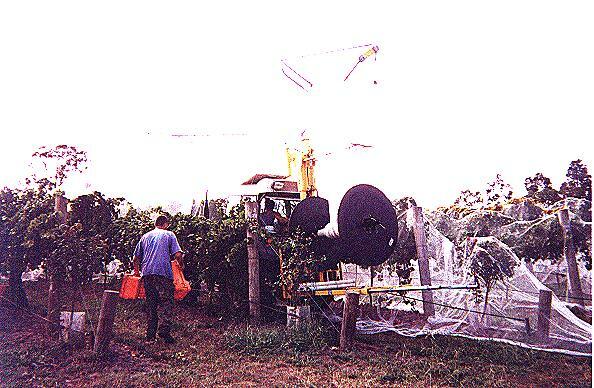 The nets can be applied directly from the bag. 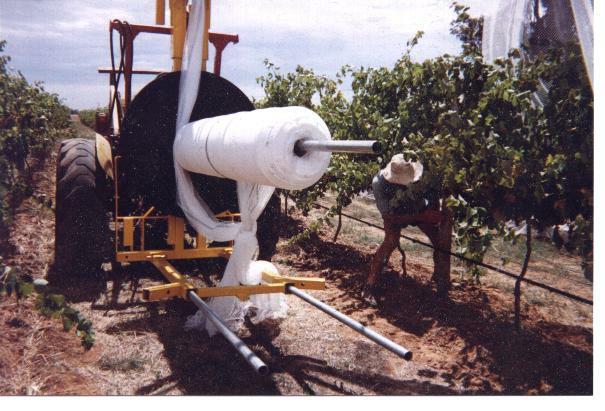 Rolling up Single Row Netting. A roll can be changed inter row. A completed roll shown on the rear carry arms.